Today Halloween is joyously celebrated by children across the Western world.There is a popular misconception though that Halloween is a modern American invention. Not so. Like so many other things that have brought great happiness and joy to humanity for millennia, its roots lay firmly in the culture of the Irish Celts! 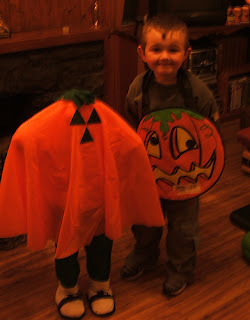 (Photo- my son Dáire & 'friend'! )Yet it has to be said that the Americans, in their re-packaging of this ancient pagan festival, have destroyed many of the fine traditions that were once such an integral part of the festivities. 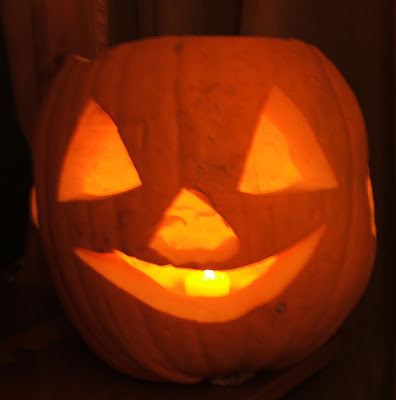 For instance our Celtic custom of placing human skulls with candles at entrances to domestic dwellings in order to ward off evil spirits has been replaced by lights in hollowed-out pumpkins! Likewise the visits of children dressed up in ghoulish and macabre fancy dress going door-to-door looking for gifts of sweets and fruits is a poor substitute for the former visits of the ghosts of our ancestors who used to drop in once a year on October 31st for a nice meal with their living relatives (we would prepare a place for them at the dinner table). 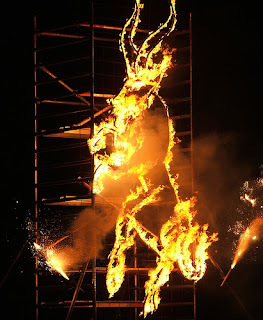 It was said too that live captives were placed in wicker cages above huge bonfires and burnt alive (as portrayed in the classic British 1970s cult film “The Wicker Man”). But such horror stories were originally spun by those nasty Romans when they were at war with the Celts. So it was probably nothing more than malicious enemy propaganda. After all, what do you take us Celts for? Barbarians?! As with so many other annual family festivals, Halloween has become so commercialised by 'Americanised' popular culture that its true origins and religious aspects have long since being forgotten. Yet modern-day Americans were not the first people to re-brand the festival. In the middle ages the Catholic Church created the Christian festival of 'All Hallows Eve' or 'All Souls Day' when people were asked to remember and pray for their dead family members. 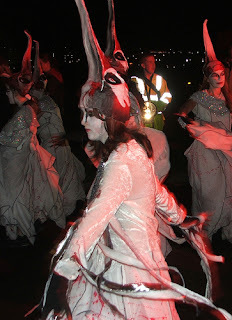 This event was superimposed onto the ancient pagan Celtic festival of 'Samhain' which marked the end of the summer season characterised by heat & light and the coming of the dark cold barren winter months. 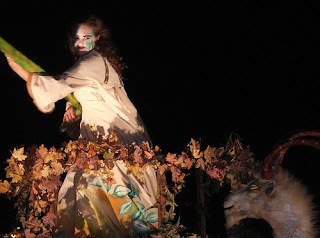 Typical of many agricultural societies, the Celts had four major annual festivals based on the cyclical differences experienced in the changing seasons of nature and their corresponding weather patterns. The other three were 'Imbolc' (spring) 'Bealtane' (summer), 'Lugnasa' (autumn). The latter was associated with harvest time. Samhain was a time when food was hoarded as people prepared for the cold season when no plants grew. While many domestic animals such as cattle were brought indoors for the winter, others were slaughtered and most of their meat salted for storage whilst the remainder was cooked for the big feast. As with all Irish festivals, communal bonfires were lit as people gathered together at warm fires to socialise and to give thanks to the deities. Bones of the slaughtered animals were thrown into the fire as symbolic gifts to the gods, an action which give rise to the term ' bone fires' or 'bonfires'. Embers from this sacred fire were taken by local people to their households to light their own domestic fires. But Samhain was also a time when creatures from the supernatural world could enter into the world of mortals. 'Fairies' (Irish='Sidhe' as in ‘Banshee’/‘female fairy’) and the spirits of the dead would walk the earth. Many of these beings were benevolent and the spirits of dead ancestors; so families laid out extra food and set aside a table space for their ghostly visitors. This metaphorised into the custom of today's children dressing up as demons and witches & calling to the neighbours' houses to receive presents. But there were spirits that came on the night of Samhain that were malevolent. Candles were placed in skulls at the entrance to dwellings as light was feared by these dark foreboding creatures. This protection against evil became transformed in modern times into the positioning of hollowed-out turnips and later pumpkins with carved out faces and internal candles at windows and doorways. Centuries-old party games of trying to eat an apple lying in a basin of water ('bobbing') or dangling on a string tied to a ceiling ('snapping') are still popular festive past-times with Irish children. 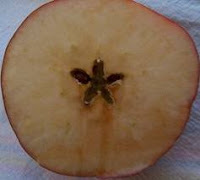 The apple is probably the most common edible fruit in Ireland. It was also strongly associated with the spirit world and the fairies (sidhe). In the Arthurian legends, the mystical island of Avalon is where King Arthur obtains his magical sword Excalibur and where he is taken at the end of his life by the Lady of the Lake and her female fairy companions (banshee). Avalon comes from the Welsh word afal or Irish aball. 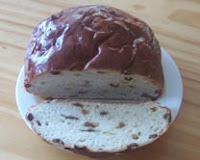 Central to the Irish Halloween is the eating of a fruit bread known as 'Barmbrack' from the Gaelic term 'Báirín Breac' (speckled or spotted top). It is still a popular festive food today. Various symbolic pieces were placed in the dough before it was baked such as a ring, a pea and a stick. When an item was found in the slice when it was being eaten, it told of the future that awaited the recipient. For instance, the 'ring' signified marriage within a year; a 'stick' represented a bad or violent marriage; the 'coin', wealth and a 'pea', a long wait before marriage. The Irish emigrants of the nineteenth century introduced Halloween and its rituals to America. Within a few decades, the festival was transformed into the fun and games event of today. Considering our national passion of asking the dead to resurrect themselves & drop into the house for a late night meal & party, it should come as no surprise that the world's most well known vampire Count Dracula was the creation of an Irishman, the novelist Bram Stoker in 1887. His inspiration though was Carmilla, a book about a lesbian vampire created naturally enough(!) by another well known Irish writer Sheridan Le Fanu. Regarding the previous comment about the similar Mexican festival; indeed, Samhain and Dia De Los Muertes probably share a common origin dating back to the Iron Age. 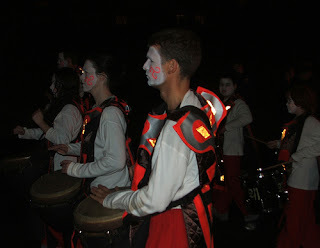 The ancient Gaels may well have originated in the Iberian Peninsula, in what is now Spain. This region was populated by a people known as "Celto-Iberians," which means they were probably of mixed Celtic/Iberian culture. 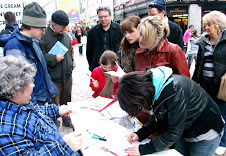 Some of Ireland's earliest "origin tales" tell of the "Milesians" (probably deriving from "Mil Espaine," Latin for "a soldier of Spain) leaving Spain and arriving in Ireland; this could easily account for the similarities, since there were common cultural sources for both these festivals. Today, many North American Christians seem to think that Samhain is "the Celtic god of the dead," but that's just rubbish. There's no more "THE Celtic god of the dead" than there is any "THE Celtic anything." The "Celts" were never a single, unified people; rather, they were many (dozens, and possibly even hundreds!) of loosely-related tribes spread across a vast geographical area, and who shared a generally common culture, along with ever-shifting alliances. Often, each different tribe would have their own versions of the usual familiar gods, and sometimes they'd have completely different gods from those their neighbours worshipped. "Samhain" isn't a "god" at all, but is simply a festival marking the change from Autumn into Winter; food is gathered, livestock is brought in or slaughtered and perserved, and a merry good time was had by all. 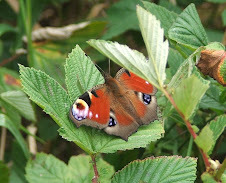 It also marks one of two annual "moving days" (the other being Bealtaine) for "the Others," as the Sidhe/Tuatha de Danaan are often called, and was also believed to be the one day a year when "the veil between this world and the next was thinnest," hence the setting of places at the table for deceased ancestors. Finally, a brief note on pronunciation; many neo-Pagans these days pronounce Samhain as "sa 'WINN," but in my experience (and largely depending on dialect) that's not even close; Samhain is pronounced more like "sound" without the "d," or like "sawin'," as in "sawin' wood." Go raibh maith agat!